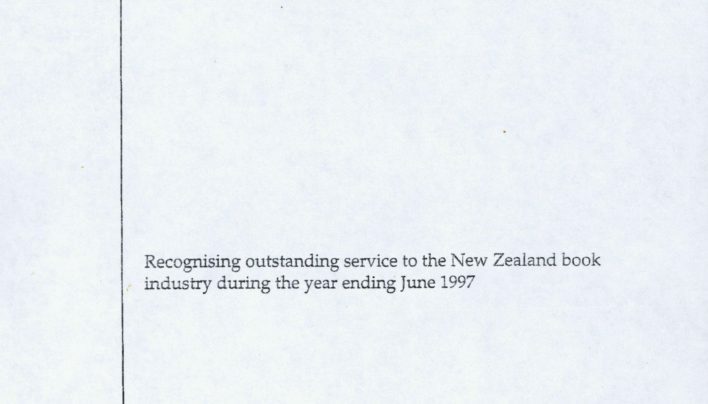 Our advertisement in the pamphlet for the 1997 Film Festival. 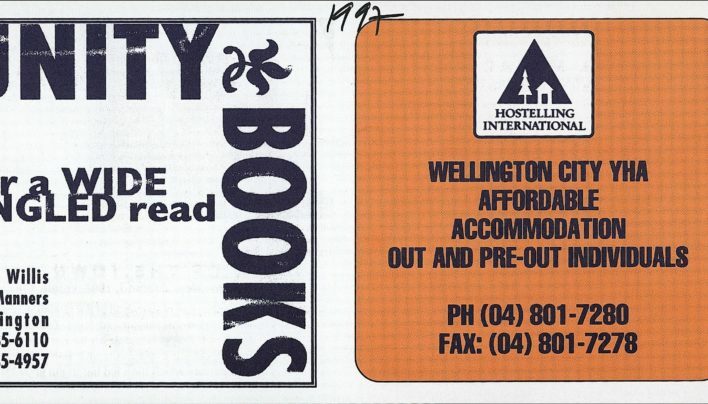 Unity Books moved to trading seven days a week in October 1997. 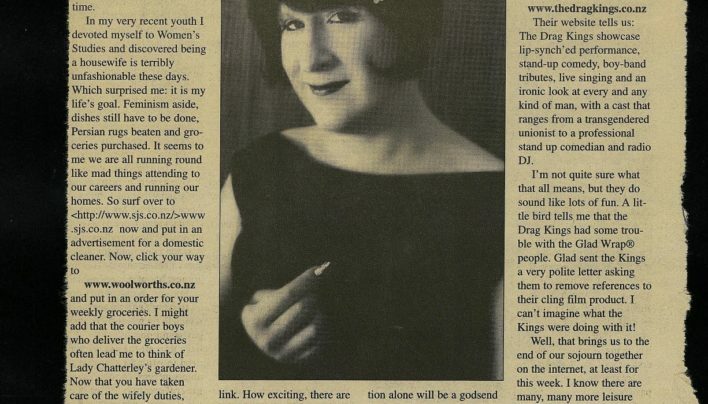 This is the newsletter announcing the change, along with various other events and new books. 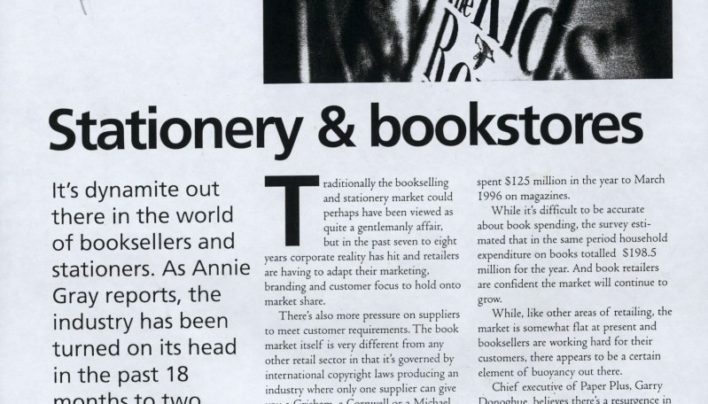 An in-depth article about developments in the bookshop scene examines both chains and independent stores in Retail magazine. 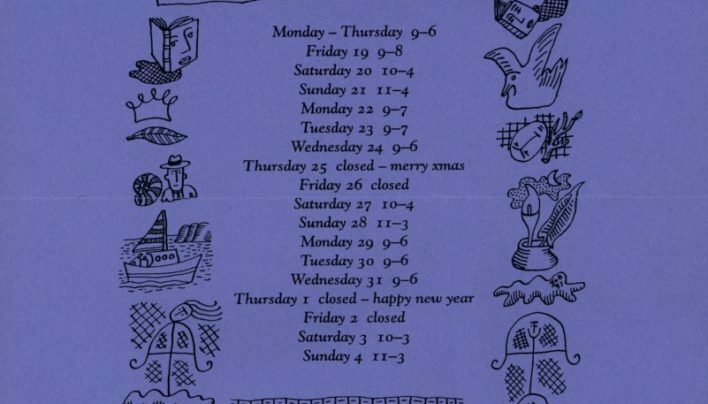 A poster with illustrations by Gregory O’Brien sets out our Christmas hours, with a selection of suggestions for Christmas buying on the reverse. 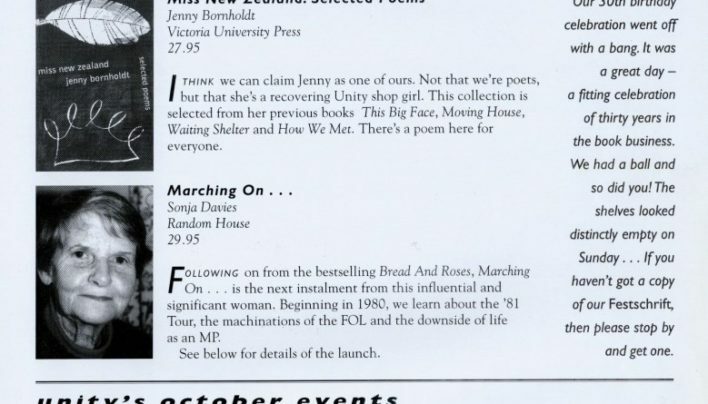 A newsletter advertising our 30th birthday sale, upcoming events and new publications. 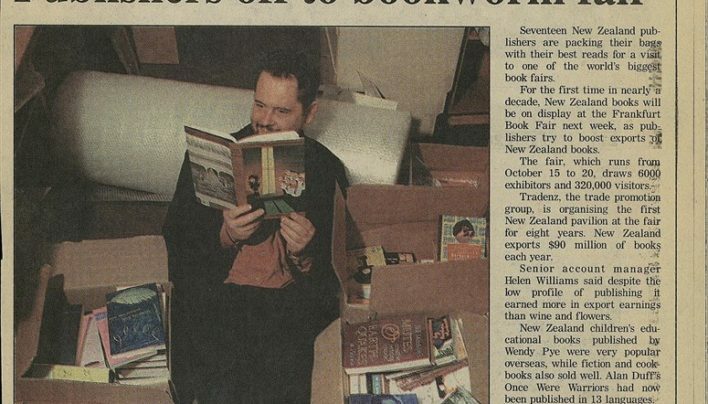 Fergus Barrowman poses with Victoria University Press books in this article about preparations for the Frankfurt Book Fair. 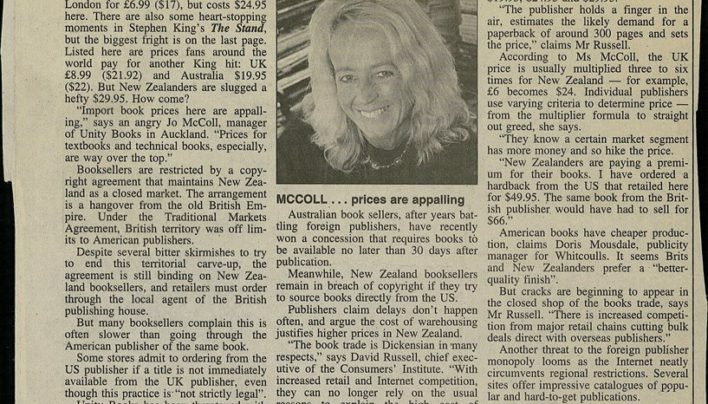 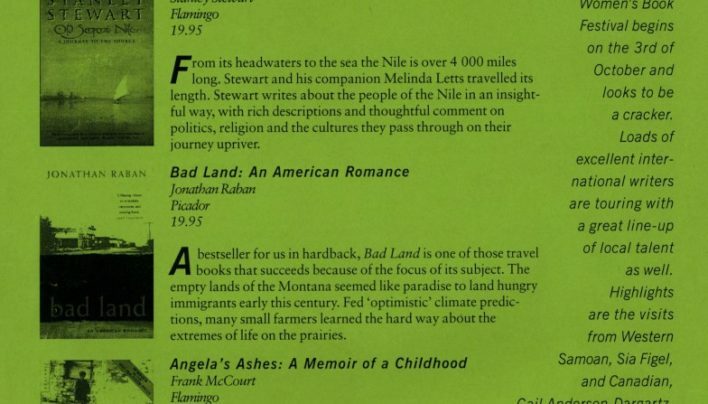 Jo McColl provided comments for an article about book pricing and copyright by Mark Henderson. 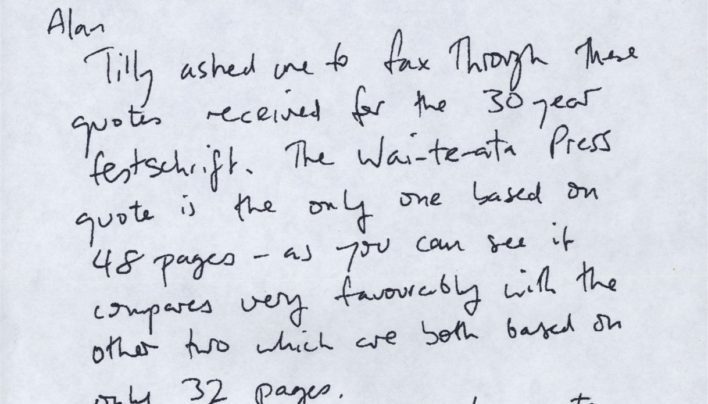 To celebrate Unity’s 30th birthday a festschrift was proposed – here Matthew Oliver has shortlisted three possible printers and particularly recommends Wai-te-ata Press to Alan Preston.